With the help of variable orifice, the Pressure Gauge Snubbers protect pressure gauges by reducing fluctuations. 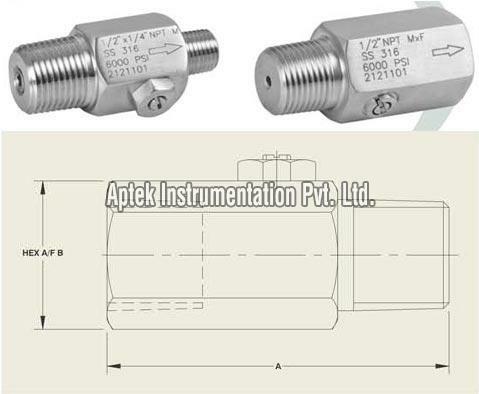 The Pressure Gauge Snubbers are available with us in a wide range that complies with international quality standards. These Pressure Gauge Snubbers are highly efficient and reliable and thus are widely demanded amidst the clients across the globe.